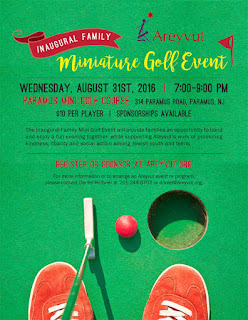 We are pleased to announce our inaugural Mini Golf Family Event. Please save the date and plan to join us on Wednesday, August 31 with your family- it is after all a Family Event- and your presence will add a great deal. Additional information, registration and sponsorship information is available at http://bit.ly/2acWKNk. We look forward to seeing you on the course.